A Scandinavian interlude: So you want to learn Finnish? There is one topic I have avoided writing about in my blog. That would be in regards to my painful struggle with the Finnish language. In the past I have always considered myself to be engaged and truly interested in learning foreign languages. However, Americans like myself are a bit crippled in this respect and the majority of the US populous are monoglots. Language learning just isn't supported in the United States the same way it is in Scandinavia and Europe. We are not required to take languages in school and usually don't even start to learn them until High School (which is much too late). Excuses aside, Finnish truly is a difficult language to learn, and some say it is one of the most difficult in all of Europe if not the entire world. You might think why is Finnish any more difficult than most European languages? First of all, Finnish doesn't belong to the same language tree as the other Germanic Scandinavian languages and it isn't really related to any other languages. Finnish belongs to the Finno-Ugric language tree. In fact the only other major languages in the Finno-Ugric tree are Estonian and Hungarian. So, it is a truly unique language. What makes it super difficult for Americans and other native English speakers without language backgrounds is the fact that the pronunciation is so difficult and there are so many different cases. The Finnish alphabet uses a few special characters like the ö and the ä. These have distinctly different sounds from the English o and a. I won't get too deep into pronunciations, Finnish words, or grammar cases because that would be an entirely different post. However, I do want to give an example of the twisting of words in Finnish. For example, in English when you use a noun in a sentence like "glass", the word stays the same. The spelling of the noun never changes. However, in Finnish depending on how you use "glass" in the sentence, the word changes. So if you drink from the glass, throw the glass, break the glass, put the glass on the table, etc. The word will change in each case and you must remember how to twist the word in all the cases. This is by no means an easy learning experience. I find it hard enough just to learn all the new verbs and nouns and then having to worry about twisting words up to 15 times is just mind boggling in my opinion. You throw the difficult pronunciations on top of that and you are in for a very challenging language learning experience. I had taken some Finnish lessons several years ago before moving to Finland, so I had some knowledge of the language and knew some vocabulary. Also, now living here for 9 months I have obviously had more exposure to the language. But, to be totally honest, Finnish is not a language you just pick up while living here. You don't just string a bunch of words together and speak slowly in Finnish, you pretty much either know Finnish or you don't. There really isn't much in between, because if you attempt to speak Finnish and you can't be understood by the locals, in 95% of the cases, you will get English spoken back to you. Their command of the English language is very impressive to say the least. It is very frustrating knowing how many Finns can speak perfect English, when I am in their country and can barely string 2 Finnish sentences together and make sense of it. The Finnish language has been compared to a triangle, where one must learn the most difficult and challenging part at the base and then work their way up to the top of the triangle where mastery takes place. The bottom of the triangle or base is very difficult and takes a long time to master, however once the rules are learned, the learning curve gets easier. Where in English, the language has been compared to an upside down triangle where the rules of learning in the beginning are easier and one can learn to speak basic English fairly fast. However, as they climb up the triangle, the challenges grow with the different rules of English words and tenses. So, basically what I am trying to say is that Finnish is extremely challenging in the beginning and English not so much, but in the long term Finnish gets easier where English can get more difficult. It is a combination of the initial difficulties and complexities of Finnish combined with the fact that so many speak English which makes learning Finnish a difficult but not impossible proposition for any expat living in the Helsinki area. super interesting!!! i have always been curious about the finnish language. i guess living in the US i always thought that finnish was like the scandinavian languages...but i was never more off which i realized when moving to norway. the fact that the finns know english so well is a good thing but also a hindrance to your learning (i have learned this is norway hahahha!). gosh darn them!! The pronunciation is actually the only easy thing.. you just pronounce the words the way they're written. Try Dutch, Swedish or French, these are way more difficult to pronounce. I agree that Swedish pronunciation is tough. Especially the "sj" sound. French pronunciation is actually very consistent. It follows rules. English is more chaotic. Nonetheless, Finnish is also NOT that easy to pronounce because the short/long vocals influence the meaning. Ulkona ei tuule. Outside it is not windy. Ulkona ei tuulle. Outside it is probably not windy. Ulkona tuulee. Outside it is windy. Finns like to think Finnish is pronounced the way it's written. If only it were so... In that case "Sydämeen ei mahdu kahta ämmää" would be a pointless reminder. French, on the other hand, follows rules, as Anonymous above said. Once you know the rules, it's easy - there are few (if any?) exceptions. Compared to the English, Finnish is pronounced how it's written. You'll be understood perfectly even if you say "sydämeen", but it'll just sound kind of funny. Ulkona ei tuulle = This doesn't mean anything. Gibberish. Although if I'm not mistaken "outside" should come after "windy", but then again my English skills aren't that great, so I didn't dare to correct the English sentences I quoted. Ulkona ei tuulle is the potential mood, Anonymous3, you philistine. Not gibberish. Remember the 12/9/2001 headline in Helsingin Sanomat? "Terrorihyökkäys Yhdysvaltoihin - Uhrien määrä noussee tuhansiin". I don't really understand this 15-case thing. In truth Finnish only has a handful of cases. The rest are post-positions that are fused to the noun in question. In Estonian for example you could say that the language has 14 cases. In truth however it just has 4: nominative singular, genitive singular and partitive singular and plural. Everything else is just a regular suffix to one of the above forms. Mä en ymmärrä miks joku muka haluais oppii puhumaan suomee, se on ruma kieli! Suomi on kaunis kieli ja maa. Mutta puhekieli ei ole helppoa. Finnish: Wait! then theres koirakaan, koirankaan, koiraakaan, koirassakaan, koirastakaan, koiraankaan, koirallakaan, koiraltakaan, koirallekaan, koiranakaan, koiraksikaan, koirattakaan, koirineenkaan, koirinkaan, koirako, koiranko, koiraako, koirassako, koirastako, koiraanko, koirallako, koiraltako, koiralleko, koiranako, koiraksiko, koirattako, koirineenko, koirinko, koirasikaan, koiranikaan, koiransakaan, koirammekaan, koirannekaan, koiraanikaan, koiraasikaan, koiraansakaan, koiraammekaan, koiraannekaan, koirassanikaan, koirassasikaan, koirassansakaan, koirassammekaan, koirassannekaan, koirastanikaan, koirastasikaan, koirastansakaan, koirastammekaan, koirastannekaan, koirallanikaan, koirallasikaan, koirallansakaan, koirallammekaan, koirallannekaan, koirananikaan, koiranasikaan, koiranansakaan, koiranammekaan, koiranannekaan, koiraksenikaan, koiraksesikaan, koiraksensakaan, koiraksemmekaan, koiraksennekaan, koirattanikaan, koirattasikaan, koirattansakaan, koirattammekaan, koirattannekaan, koirinenikaan, koirinesikaan, koirinensakaan, koirinemmekaan, koirinennekaan, koirasiko, koiraniko, koiransako, koirammeko, koiranneko, koiraaniko, koiraasiko, koiraansako, koiraammeko, koiraanneko, koirassaniko, koirassasiko, koirassansako, koirassammeko, koirassanneko, koirastaniko, koirastasiko, koirastansako, koirastammeko, koirastanneko, koirallaniko, koirallasiko, koirallansako, koirallammeko, koirallanneko, koirananiko, koiranasiko, koiranansako, koiranammeko, koirananneko, koirakseniko, koiraksesiko, koiraksensako, koiraksemmeko, koiraksenneko, koirattaniko, koirattasiko, koirattansako, koirattammeko, koirattanneko, koirineniko, koirinesiko, koirinensako, koirinemmeko, koirinenneko, koirasikaanko, koiranikaanko, koiransakaanko, koirammekaanko, koirannekaanko, koiraanikaanko, koiraasikaanko, koiraansakaanko, koiraammekaanko, koiraannekaanko, koirassanikaanko, koirassasikaanko, koirassansakaanko, koirassammekaanko, koirassannekaanko, koirastanikaanko, koirastasikaanko, koirastansakaanko, koirastammekaanko, koirastannekaanko, koirallanikaanko, koirallasikaanko, koirallansakaanko, koirallammekaanko, koirallannekaanko, koirananikaanko, koiranasikaanko, koiranansakaanko, koiranammekaanko, koiranannekaanko, koiraksenikaanko, koiraksesikaanko, koiraksensakaanko, koiraksemmekaanko, koiraksennekaanko, koirattanikaanko, koirattasikaanko, koirattansakaanko, koirattammekaanko, koirattannekaanko, koirinenikaanko, koirinesikaanko, koirinensakaanko, koirinemmekaanko, koirinennekaanko, koirasikokaan, koiranikokaan, koiransakokaan, koirammekokaan, koirannekokaan, koiraanikokaan, koiraasikokaan, koiraansakokaan, koiraammekokaan, koiraannekokaan, koirassanikokaan, koirassasikokaan, koirassansakokaan, koirassammekokaan, koirassannekokaan, koirastanikokaan, koirastasikokaan, koirastansakokaan, koirastammekokaan, koirastannekokaan, koirallanikokaan, koirallasikokaan, koirallansakokaan, koirallammekokaan, koirallannekokaan, koirananikokaan, koiranasikokaan, koiranansakokaan, koiranammekokaan, koiranannekokaan, koiraksenikokaan, koiraksesikokaan, koiraksensakokaan, koiraksemmekokaan, koiraksennekokaan, koirattanikokaan, koirattasikokaan, koirattansakokaan, koirattammekokaan, koirattannekokaan, koirinenikokaan, koirinesikokaan, koirinensakokaan, koirinemmekokaan, koirinennekokaan. 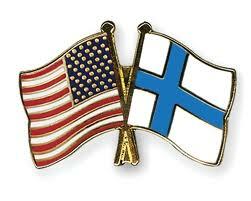 Yes, it´s difficult and earlier on when I tried talking Finnish, everyone replied in English. It drove me crazy, I really wanted to practise it. I found when writing + talking Finnish I got more positive feedback when applying for work (it showed I really really wanted it). Many told me said: "Your Finnish is not good enough to work here" (that was super frustrating), but I never gave up and kept thinking: "Oh really, I´ll show you. I can do anything I want." Simsalabim, I had a 9 month work practise where the guys talked almost only Finnish to me& now I´ve been employed in a small company for 3 years wokring entirely in Finnish: customer service, invoicing... you name it. It´s cool to be stubborn and see how impressed Finns get and how they appreciate it. You don´t have to be perfect and of course I make mistakes, but so do some of my Finnish co-workers from the countryside. (They don´t even speak English at all!). But it's a very beautiful language :) And as my Finnish teacher always says: "Suomi ei ole vaikea, se on vain erilainen." Good luck with your Finnish!